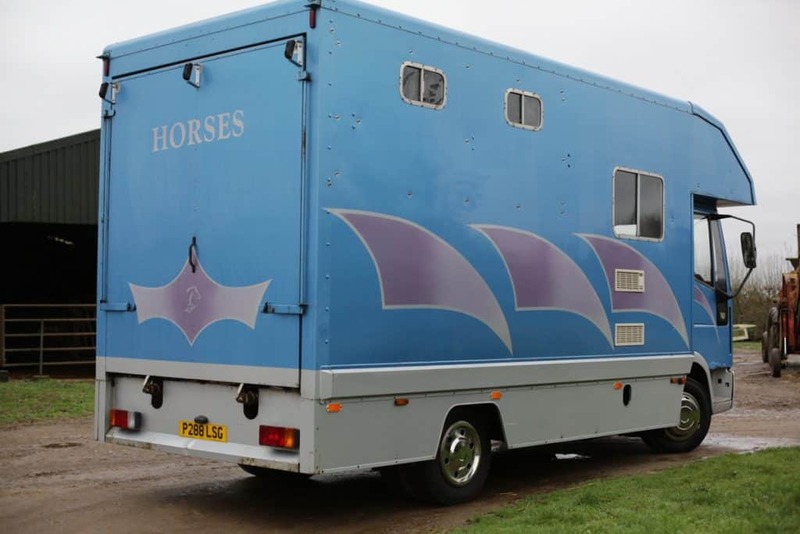 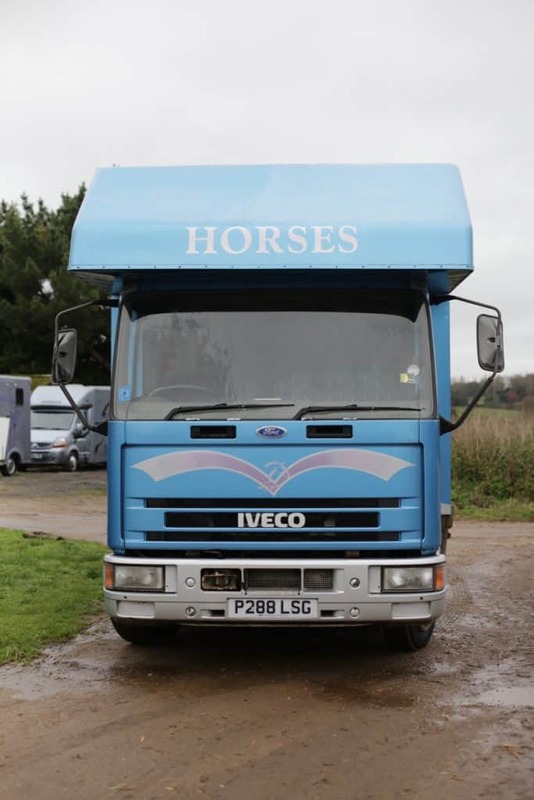 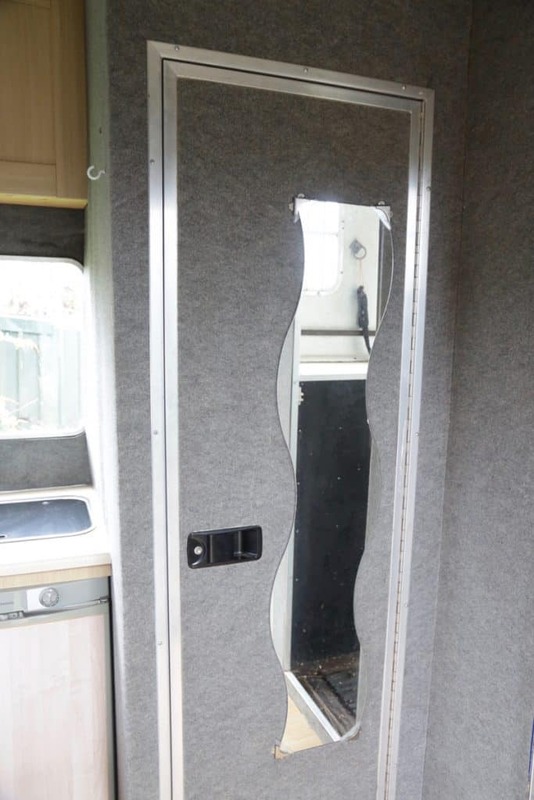 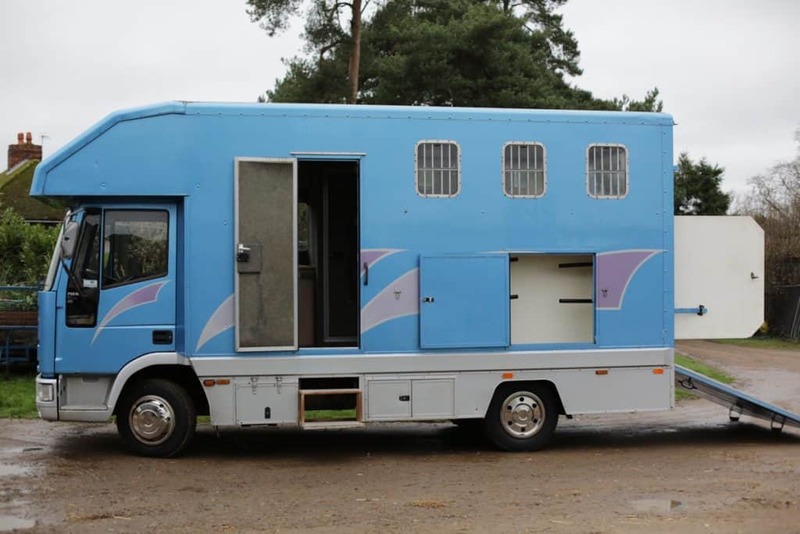 This horse box has been coachbuilt on a 1996 Iveco 75e15. 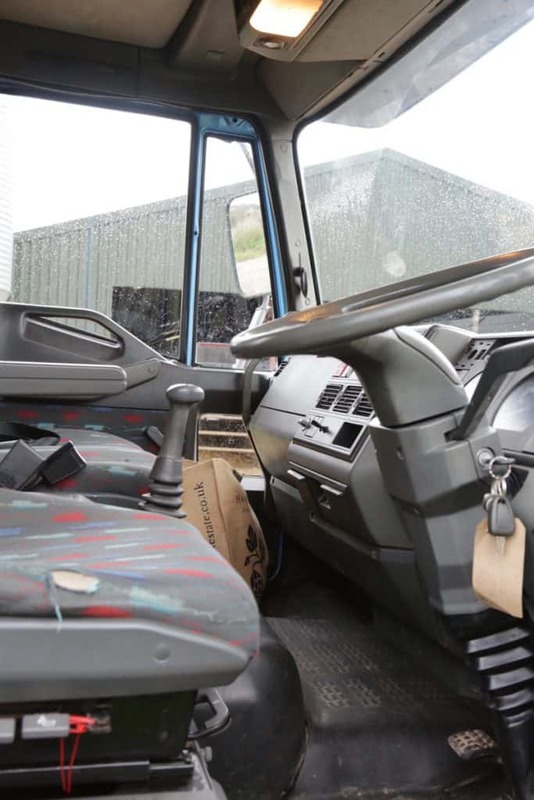 The non-tilt cab has 3 seats, air brakes, a battery isolation switch to prevent battery drain and a large cut through to the living area. 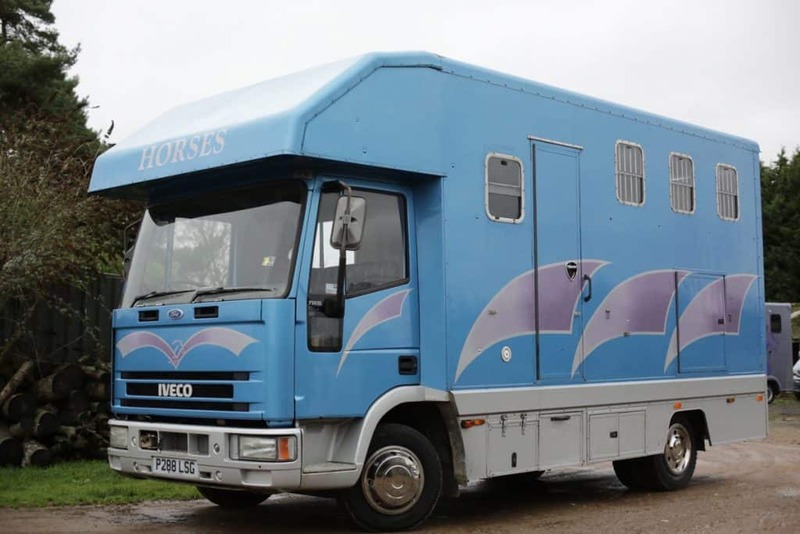 It has completed 184,000 miles and comes with a new MOT. . 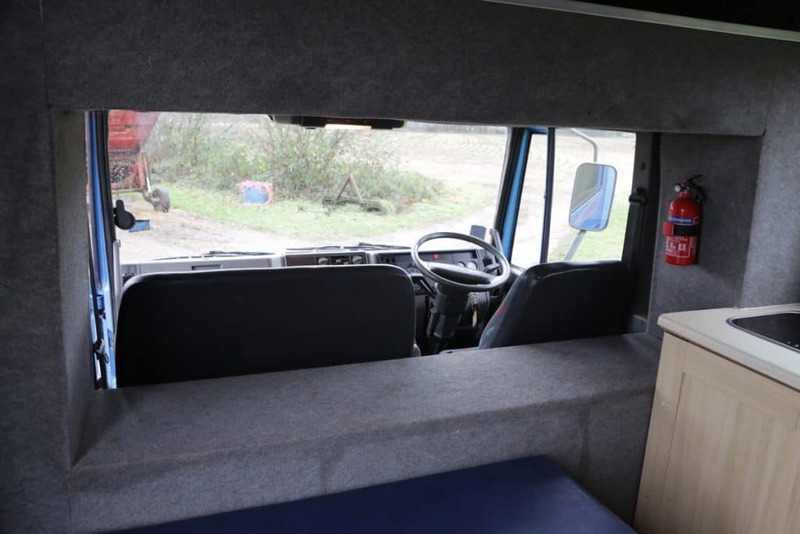 The good size living area is accessed via the cab cut through, or from the groom’s door with roll out steps from the outside. 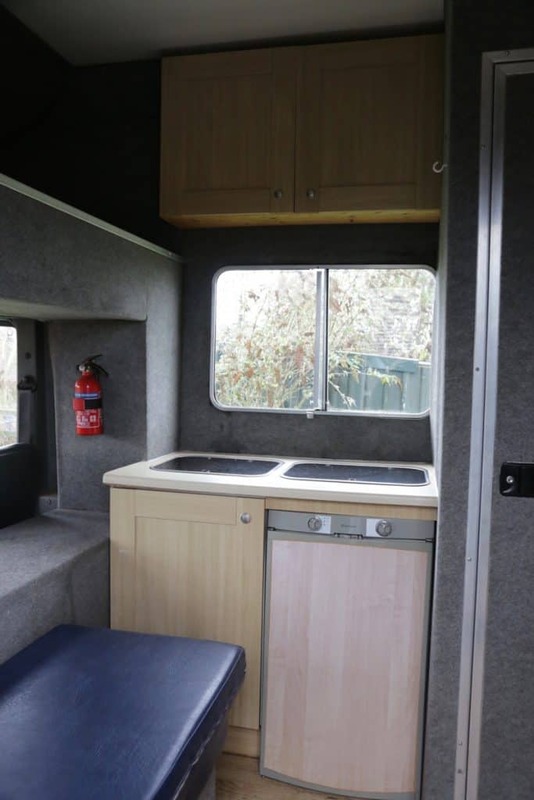 It contains a long bench seat and has a good size luton to sleep 2. 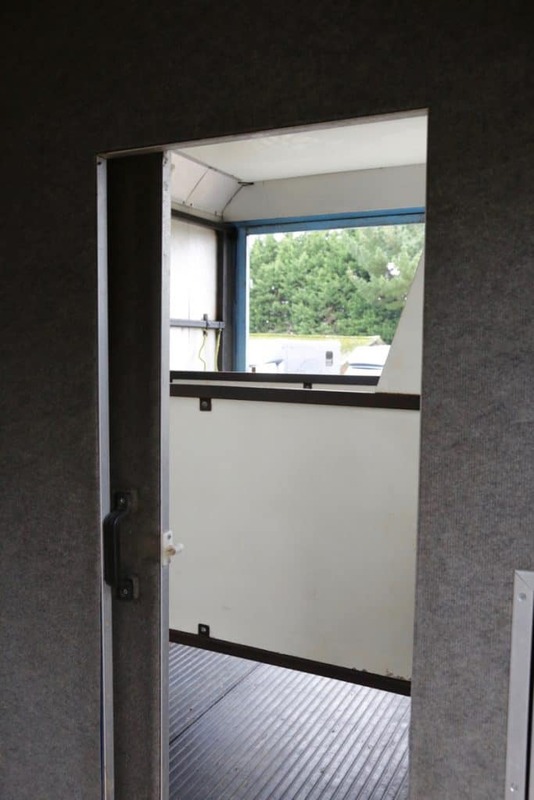 There is one large and one small window for light and ventilation. 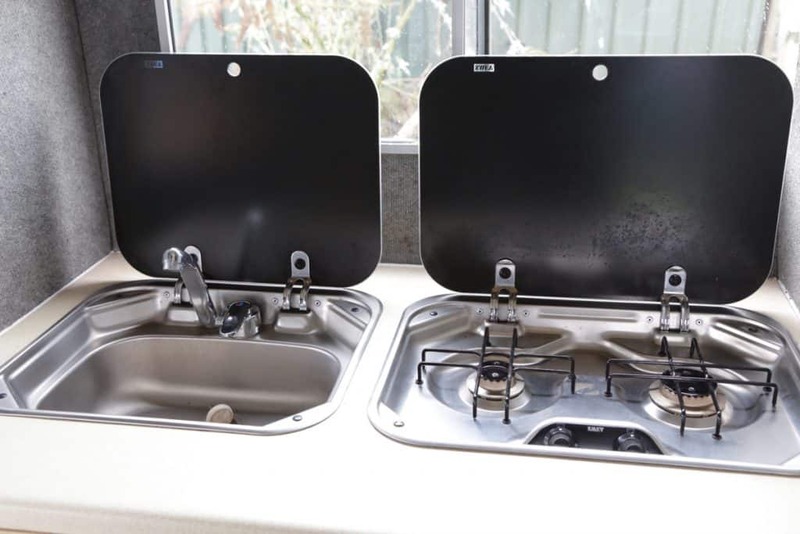 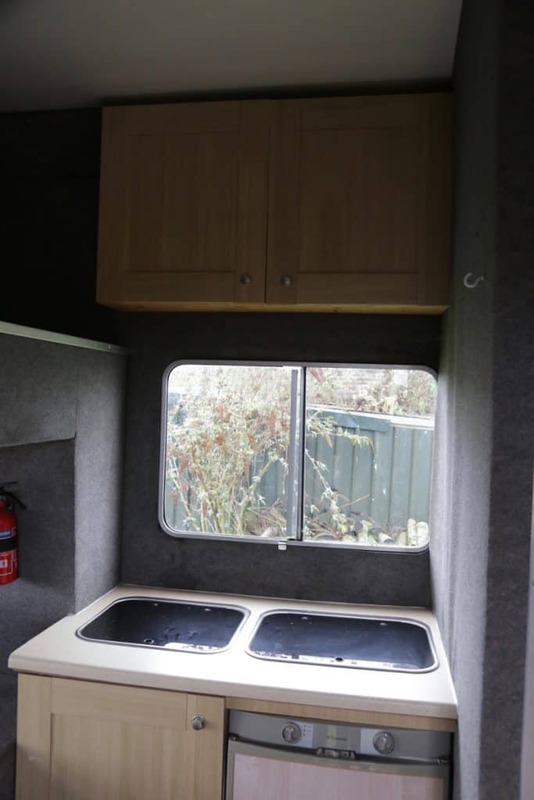 The kitchen area has plenty of wooden cupboards with a 2 burner glass top hob and sink with running water. 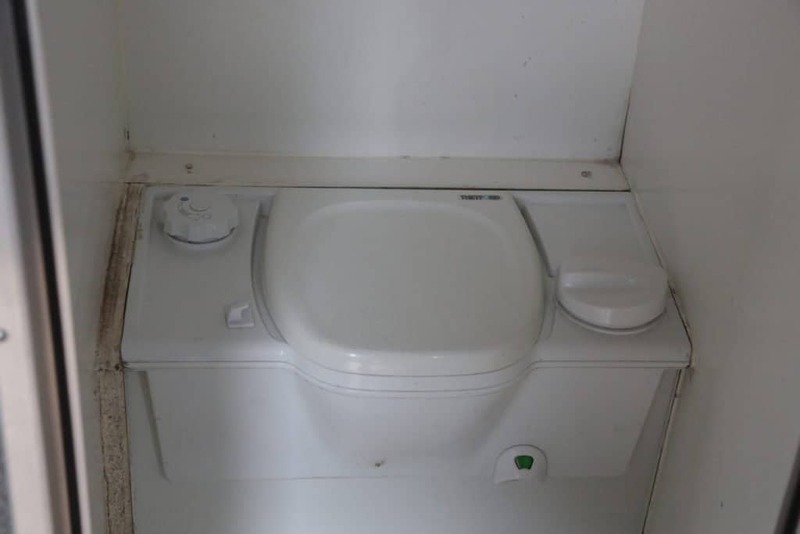 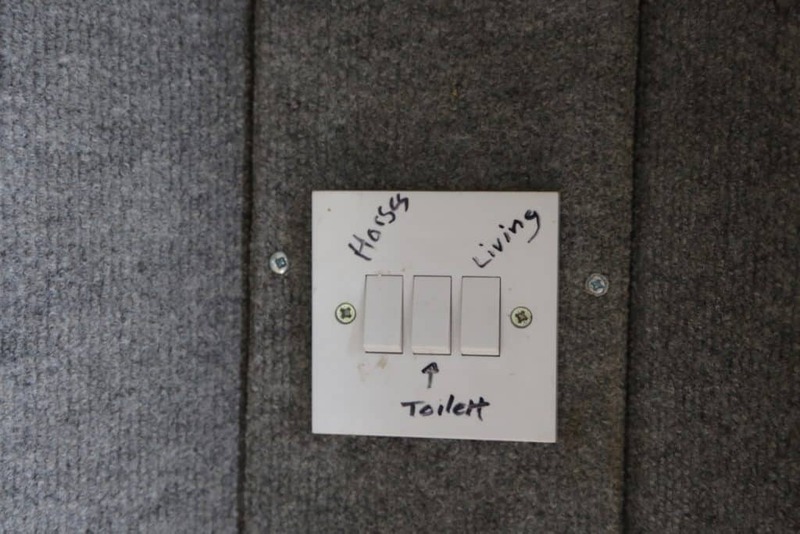 A fridge with freezer compartment is also set under the worktop and there is a separate room containing a flushable toilet. 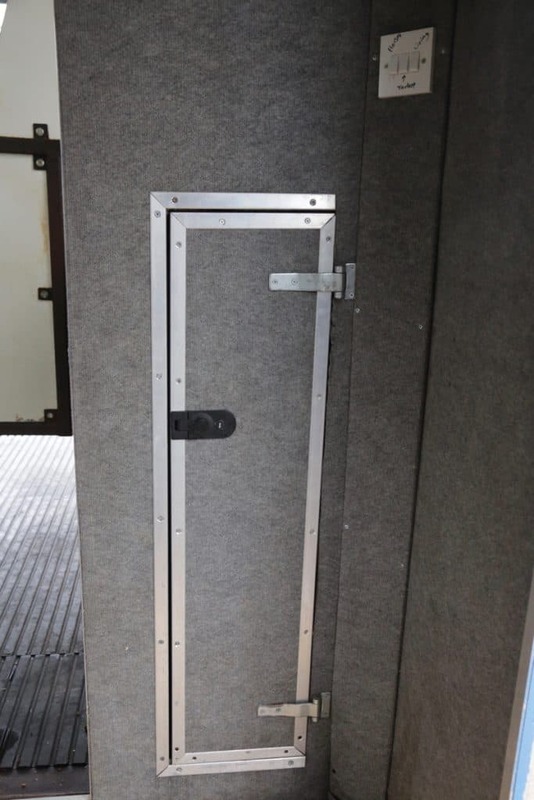 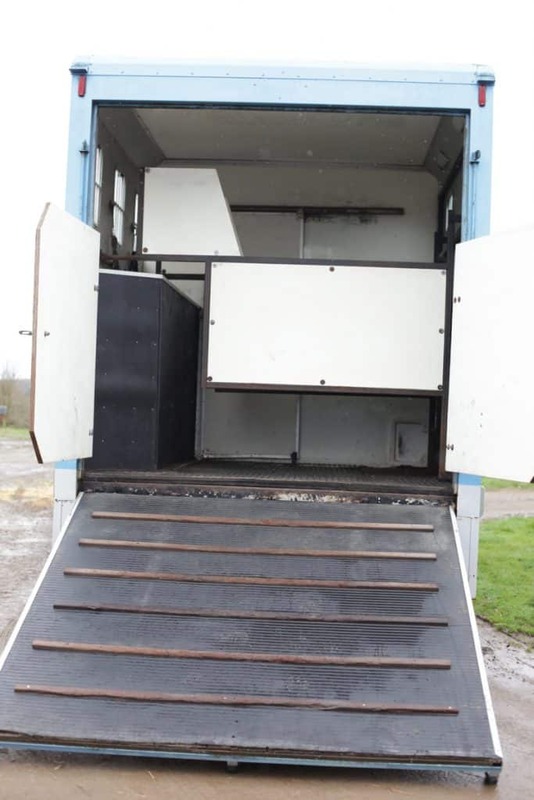 A solid door slides open to access the horse area. .
Good size tack locker accessed from outside and protruding into the horse area under the horses heads contains 4 saddle racks and 3 bridle racks. 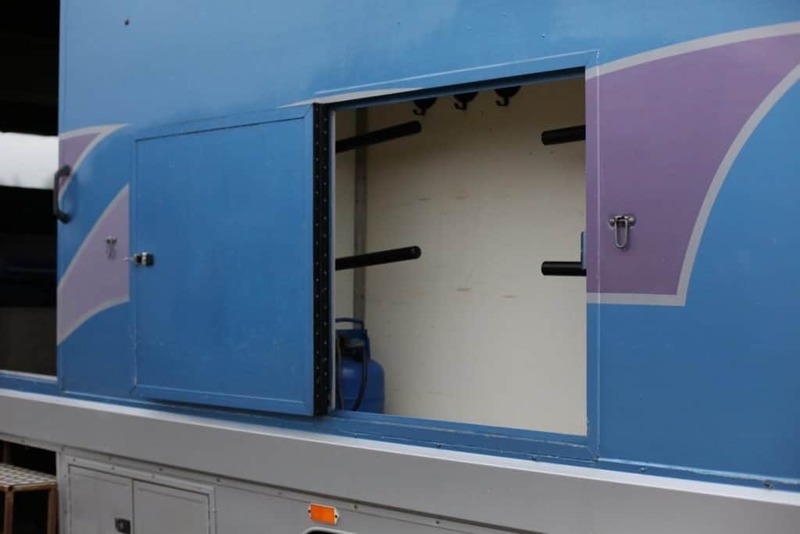 This also stores the gas cylinder. 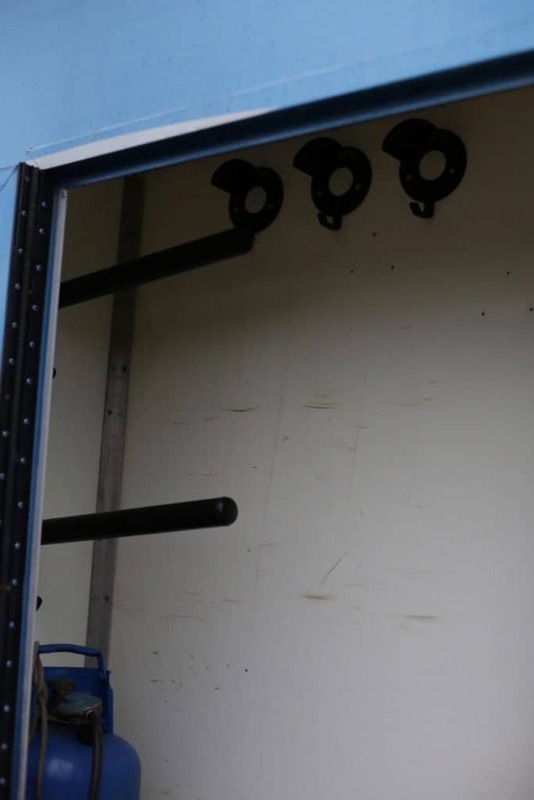 A small wardrobe with hanging rail is accessed from the living. 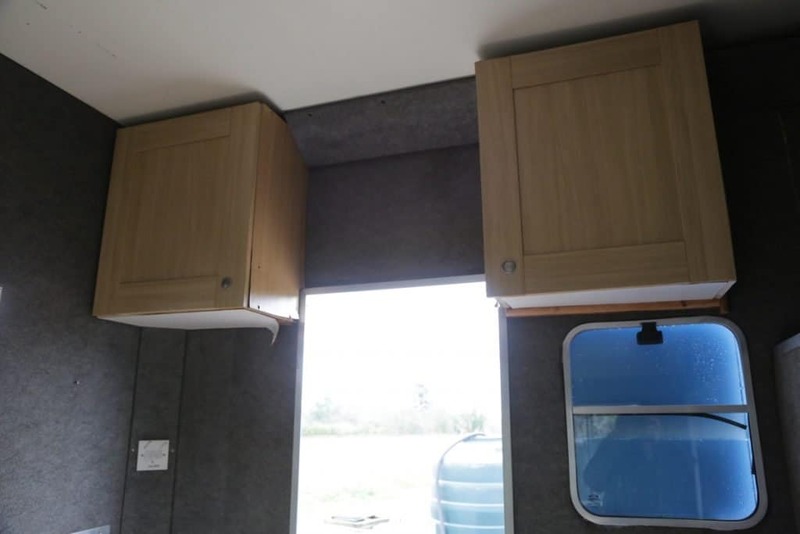 There are a further 5 cupboards in the living area, under the counter or mounted on the walls. 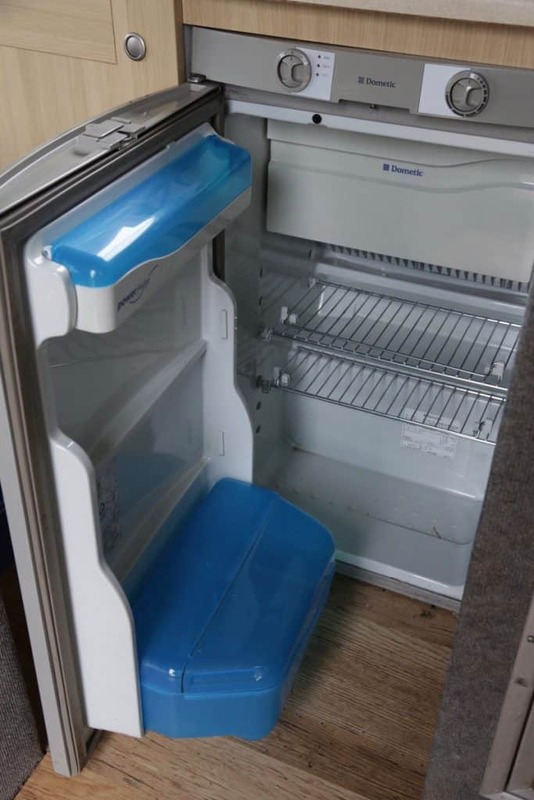 There is also under bench storage in the living. 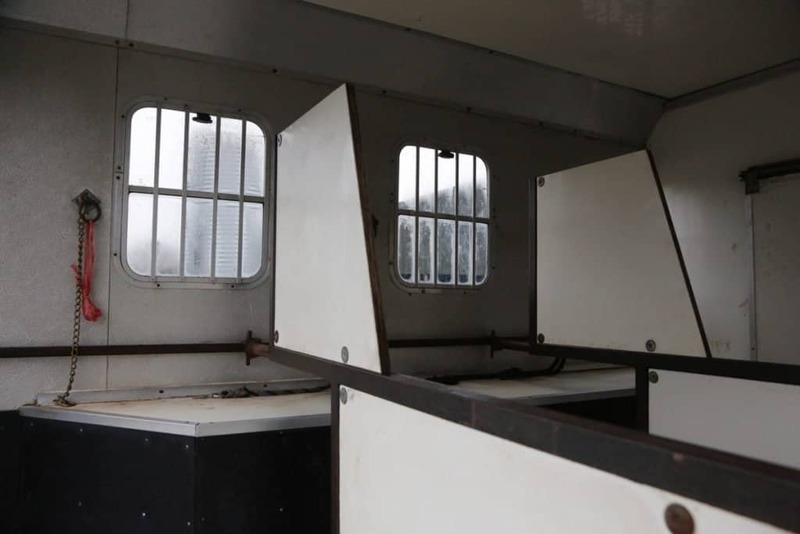 The horse area has 3 large windows and 2 vent windows, along with 3 internal tie rings and a mesh decking floor. 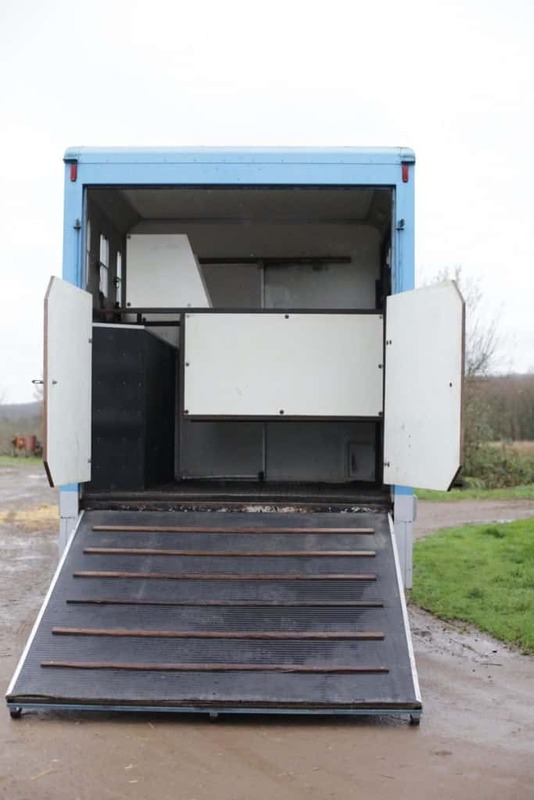 It is accessed via a ramp at the rear of the vehicle. 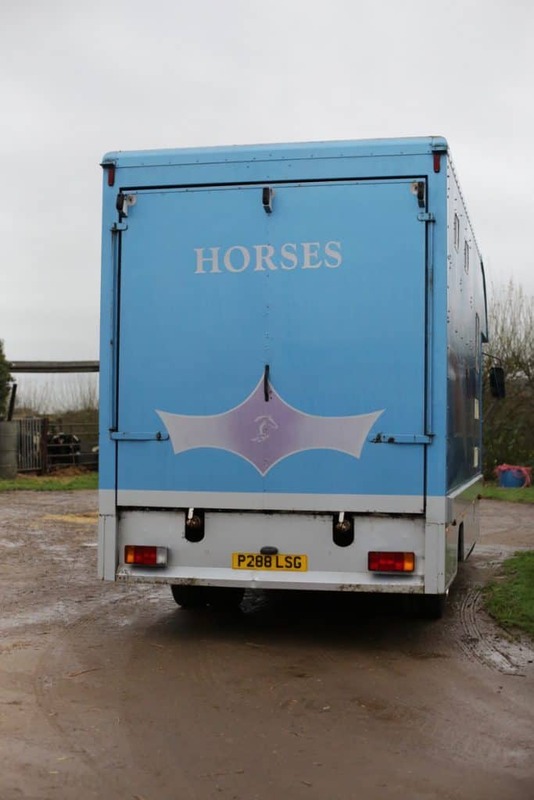 There are two partitions to allow you to stall 3 horses travelling herringbone. 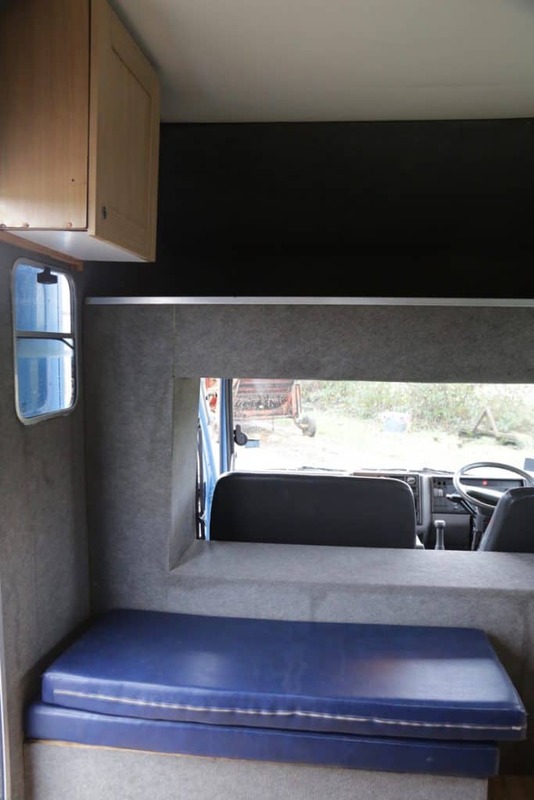 Both partitions are half height with solid headboards and are adjustable and removable.